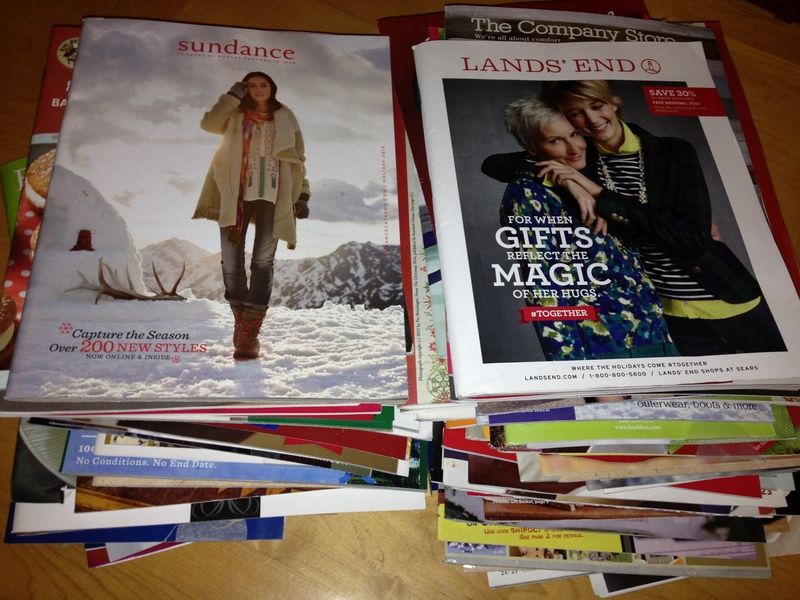 Clump #85: Go through, sort out, and recycle catalogs. The job: sort through; recycle ones I will not be ordering from; order — now — the gift items I’ve identified. Trouble comes when I see a good idea, and even with a turned-down page corner, I put the catalog aside and it falls into the void of piled up paper. Plus, I get distracted. I have a tendency to look through catalogs and realize I’m wondering about the models rather than the products the company is advertising. “They’re really featuring her more than the others,” I think. 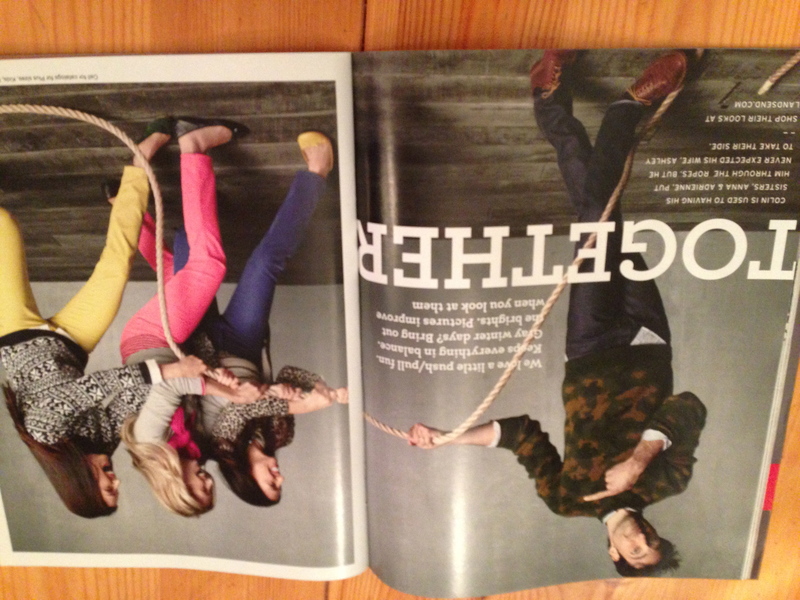 “Are the other models jealous?” This season’s Lands’ End catalog featured a few models with relationship stories. Maybe I’m not the only one who wants to know the scoop about these beautiful people. 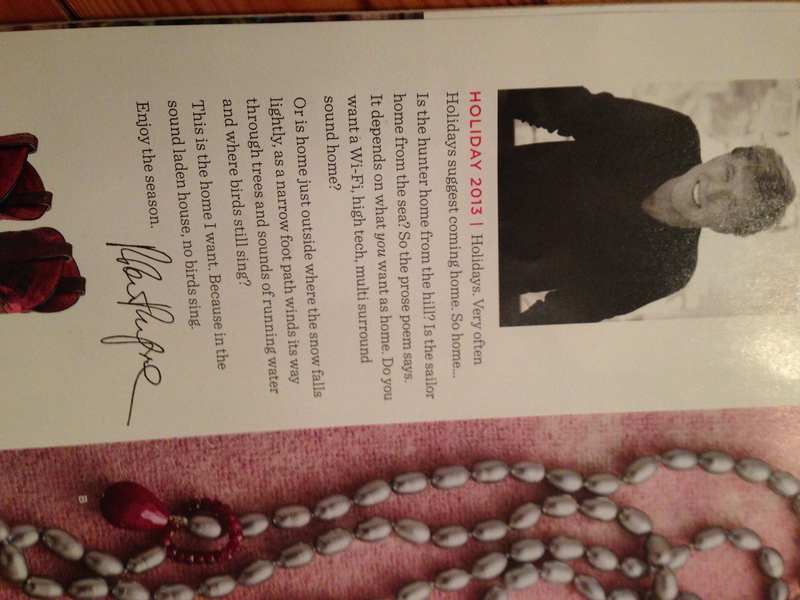 A mother and daughter pairing was on the cover, in the photo above. Also, this caption accompanied the photo below: “Colin is used to having his sisters, Anna & Adrienne, put him through the ropes. But he never expected his wife, Ashley, to take their side.” I’ll never get through the pile at this rate, Lands’ End! I think he’s telling me to go outside and experience the wonders of nature, but the letter is prefacing a whole lot of beautiful stuff I can buy to clutter up my home. 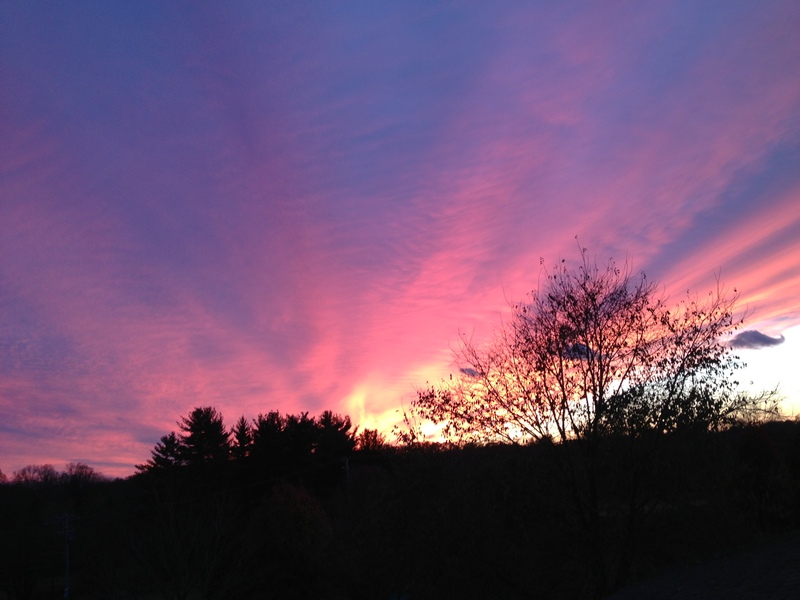 I did go outside and this is what the sunset looked like this evening. And the birds were singing. Thanks, Bob.